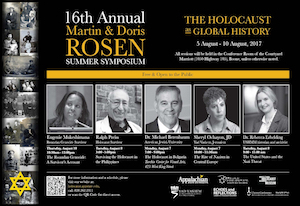 The 16th Annual Martin and Doris Rosen Summer Symposium on “Remembering the Holocaust” will be held from August 5-10, 2017 at the Marriott Hotel in Boone, near the Appalachian State University campus. This year’s symposium puts a particular emphasis on the Holocaust as an event in global history and explores the complex connections between the Jewish refugee crisis of the 1930s and early 1940s with the present refugee crises around the world. The week-long symposium will bring internationally and nationally acclaimed scholars, authors and educators to Boone. 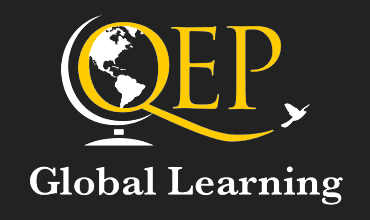 The event’s faculty and speakers include Dr. Rebecca Erbelding from the United States Holocaust Memorial Museum and Professor Michael Berenbaum from American Jewish University as well as Holocaust survivor Ralph J. Preiss and Rwandan genocide survivor Eugenie Mukeshimana. Preiss, a retired engineer who lives in Poughkeepsie, New York State, was among the small groups of Jewish refugees who managed to escape Nazi-controlled Europe and reach the Philippines. Born into a Jewish family in the German town of Rosenberg, Preiss was eight years old, when his parents managed to secure visas from the American Consulate in Breslau and escape Nazi Germany with him in January 1939. The Preiss family was among the roughly 1,300 European-Jewish refugees, whom Philippine President Manuel L. Quezon and American authorities, the country’s sovereign power, allowed to enter the Southeast Asian island archipelago from 1939 until 1941. As Preiss later recalled, “we didn’t know what the Philippines was or where it was.” Upon their arrival in Manila in 1939, the family struggled financially, since Filipino authorities did not allow his father, Harry Preiss, a doctor, to practice medicine after an intervention from the country’s medical association. When the Japanese forces invaded and occupied the Philippines in 1941-42, the Preiss had to flee again. When Japanese forces were hunting down Americans and other whites, they hid in the jungle protected by Filipino guerrillas. After the liberation by U.S. troops, Preiss studied engineering at the University of the Philippines in 1948 and then obtained a visa to enter the U.S., were he continued his studies at MIT. His parents stayed in the Philippines, where his father had founded a pharmaceutical company, until 1969. Other family members who had tried to escape Hitler’s henchmen in the 1930s, including Preiss’ aunt, uncle and cousins only managed to escape to France, where they were rounded up after the German invasion, deported, and killed in Auschwitz. 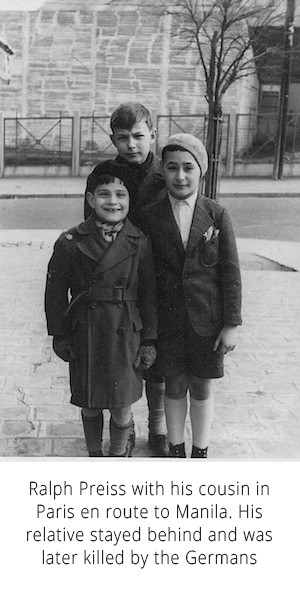 Like other “Manilaners,” as the Central-European Jewish refugees in the Philippines came to refer to themselves, Preiss has been speaking to schools and community groups to shed light on this still barely known, but insightful chapter in the complex story of Holocaust-era Jewish refugees. Ms. Eugenie Mukeshimana is the founder and executive director of the Genocide Survivors Support Network (GSSN), a New Jersey-based charitable organization that helps genocide survivors rebuild their lives. A native of Rwanda, she is a survivor of the central African country’s 1994 genocide. While in hiding from the Hutu genocidaires, who killed about 800,000 of her countrywomen and –men, she gave birth to a daughter. Widowed in the genocide, Eugenie Mukeshimana came to the U.S. in 2001 to pursue a college degree in social work in Albany, New York. After graduating, she worked with homeless families, helping them to regain housing stability. In light of her college teachers’ and classmates’ striking lack of knowledge of the Rwandan genocide, she was also educating campus and community groups about this genocide. In 2010, Ms. Mukeshimana founded GSSN, which has helped survivors to access critical services such as immigration assistance, mental health treatment, language and cultural orientation, career development, and college enrollment. It has also enabled many to share their stories with thousands of students throughout the country. Now based in Baltimore, Ms. Mukeshimana frequently lectures on genocide and other human rights violations at conferences, in schools, and meetings with community groups and continues to advocate on behalf of survivors and refugees. In recognition of her work, Ms. Mukeshimana has, among other distinctions, received a fellowship from Columbia University’s Human Rights Advocates Program in 2012. Dr. Racelle Weiman, a world-renowened Holocaust educator, will serve as this year’s co-director. In a special evening event, Suzanne Lasky-Gerard will screen and discuss her documentary on the March of the Living that aired on PBS. Appalachian’s Center for Judaic, Holocaust and Peace Studies is also continuing its collaboration with Yad Vashem, the World Center for Holocaust Research, Documentation, Education and Commemoration in Jerusalem and will feature a presentation by Sheryl Ochayon, JD, from Yad Vashem’s International School for Holocaust Studies. The symposium provides public and private school teachers, university faculty, students and community members information and insights about the victims, perpetrators and consequences of the Nazi genocide of European Jewry. In addition, the program widens the focus to explore Jewish religious and cultural life before the Shoah. Reflecting this year’s emphasis, the symposium participants will learn and ponder how the Holocaust cannot only be understood as an event in Jewish, but also in global history. Among others, the audience will gain knowledge of how the Jewish refugee crisis of the 1930s and 1940s relates to and teaches us lessons in our grappling with current refugee crises around the world. Contributing to the international reach and composition of the event, secondary-school teachers from Hungary and the Czech Republic will be among the participants in attendance to discuss the teaching of the Holocaust in their countries. On campus, the symposium is sponsored by the Martin and Doris Rosen Endowment, the Ruth and Stan Etkin Symposium Scholars’ Fund, the Community Advisory Board and Friends of the Center for Judaic, Holocaust and Peace Studies. the College of Arts and Sciences, and the University Bookstore. In the community, the Temple of the High Country, Havurah of the High Country and the Margolis Family supports this event. Nationally and internationally, The Conference on Jewish Material Claims Against Germany, the Leon Levine Foundation, the North Carolina Council on the Holocaust, the United States Holocaust Memorial Museum, Washington, D.C. andand Reflections of Yad Vashem (in collaboration with the USC Shoah Foundation and the Anti-Defamation League) co-sponsor the symposium. The event is organized by Appalachian’s Center for Judaic, Holocaust and Peace Studies, a center housed under the College of Arts and Sciences; and named for symposium benefactors, the late Doris and Martin Rosen. This week-long event is free and open to the public to attend any portion of the symposium. The Marriott Hotel is located at at 1050 Highway 105 South in Boone, North Carolina. Eugenie Mukeshimana, Rwandan genocide survivor and executive director of the Genocide Survivors Support Network, speaking during the 2017 Symposium. In order to be granted access to the speaker's eyewitness account of the Rwandan genocide, please contact the Center at holocaust@appstate.edu.